Given that today, Shakhtar are to play their first training camp game, Paulo Fonseca made minor changes in the training schedule: the session was thirty minutes shorter and less intense. 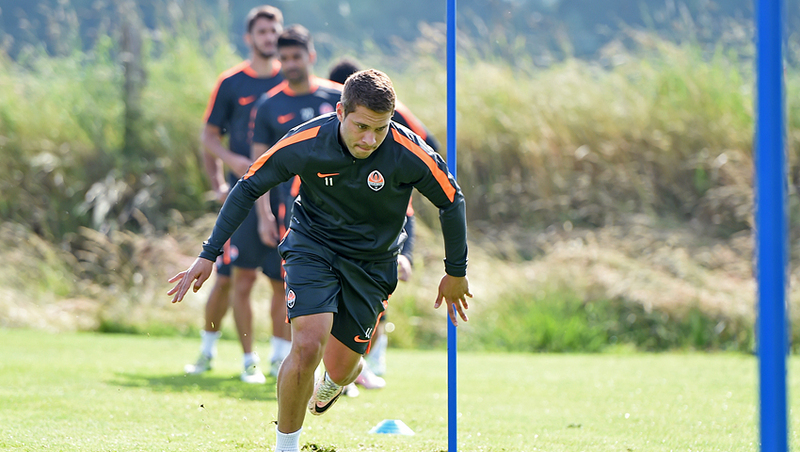 Marlos, Taison and Vasyl Kobin trained individually. - From the very first days, we pay much attention to theory, - said Shakhtar midfielder Andriy Korobenko. - Usually we do some running, starting with tactics. It was a bit unusual. Paulo Fonseca told us that discipline is first and foremost. We feel it both at home and on the field. The coach requires constant concentration, so that we think and make the right decisions in each episode, never relaxing even for a moment. This is a reminder that Shakhtar are playing their first match at the training camp in the Netherlands. Shakhtar’s opponents are the KIFA Pro Team. The meeting kicks off at 19:00 Kyiv time.